Essentials are just that… essential. These timeless items are your go-to starters for almost any outfit—they pair seamlessly with unique pieces (like that treasured tour tee) or work side-by-side with your other closet classics. 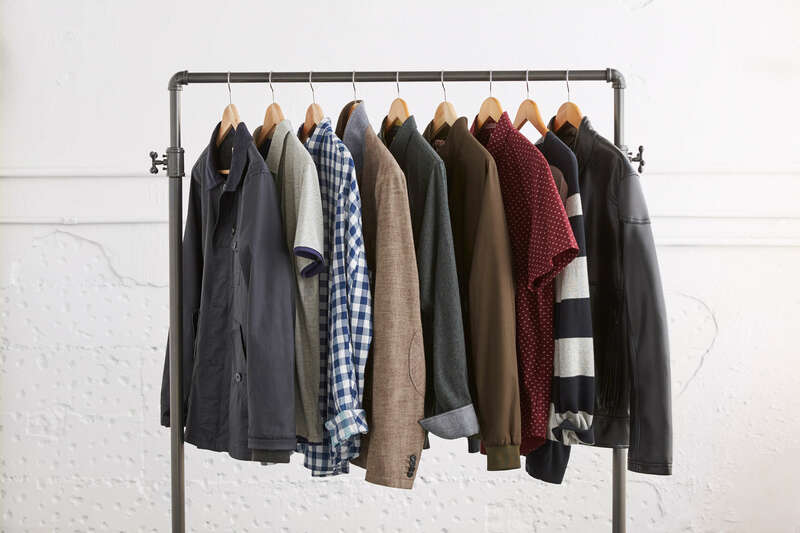 Here are the closet essentials that every guy should have. Khakis. A chino-style pant or 5-pocket straight-cut twill in a neutral color, like tan, are a must for your closet. This pant works for the office with a button-down or with a tee on the weekend. Dark-wash denim. This is your workhorse piece. With more and more offices opting for a relaxed version of business casual, your dark-wash denim can easily pull double duty for work and weekend. Go for slim or straight cuts here for the most versatility. “Adult” lounge pants. Have a pair of nice sweatpants (seriously, they exist) that you can actually wear out of the house. Keep it simple with a basic black or grey straight-cut style. Dress shirt. Have one in a crisp white and one in light blue. These shirts work just as well with your khakis or jeans as they do with your suits. Replenish if they ever start looking worn. Casual button-up. Have at least one casual, printed button-up shirt you can toss on with both jeans and khakis for instant polish. Quality T-shirt. Invest in a few well-made, solid tees in white, navy and grey that you can wear alone or under button-up shirts and sweaters. Polo. A classic polo is the dressed-up tee. Wear it alone with jeans or layer under a blazer for a business casual look. Raglan or henley. Like wearing your favorite tee, only dressier and with longer sleeves. A raglan (with those baseball-inspired colored sleeves) or a henley (essentially a collarless pullover with buttons, see below) do the trick. Non-athletic sneakers. Keep your workout shoes for the gym and have on hand a canvas or leather sneaker for your casual outfits. Dark brown or black lace-ups. These shoes pair well with so many outfits, both dressy and casual. Be sure to take care of these shoes for long-lasting wear. Casual jacket. A trench, a bomber jacket, a field coat or a car coat. Pick one or two (plus add a wool coat for cold climates) for that stylish finishing touch. Sport coat. When a suit isn’t necessary, your sport coat is elevated without feeling stuffy. Finally, have a grey or navy suit. “But I don’t have to wear a suit for work” you say? That doesn’t matter. Weddings, funerals, job interviews—the unexpected happens, and you don’t want to be rushing out last-minute to find a suit that may or may not fit properly. Invest in a well-fitted, two-button suit you know you can put on and go. With these closet must-haves, you’ll get the most out of your wardrobe with the least amount of work.